Web design and web development is at the very heart of what we do. Digital transformation has spurred a huge shift in user need over the last decade, with many of our projects now focusing on web application and mobile application development. 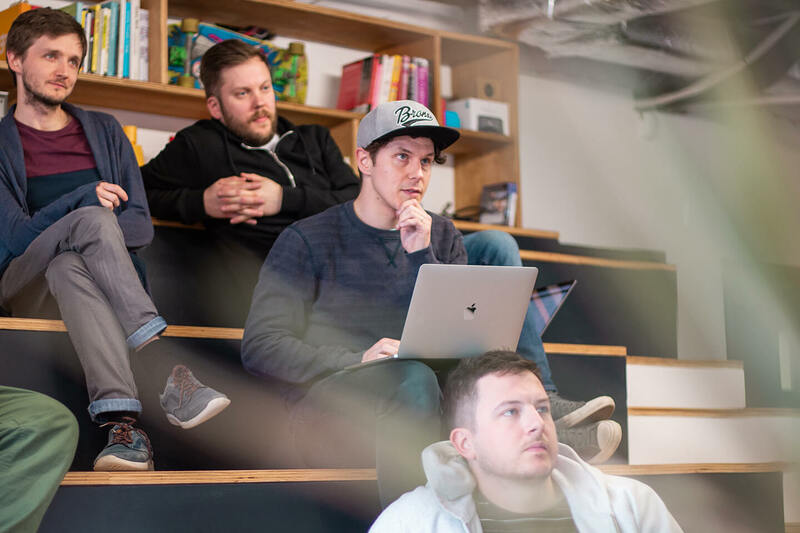 But web development in the more traditional sense is still commonplace at Kyan, and we take incredible pride in building bespoke websites from the ground up. During the early days of Kyan, our goal was simple. We wanted to build websites that were clean, simple and clever. 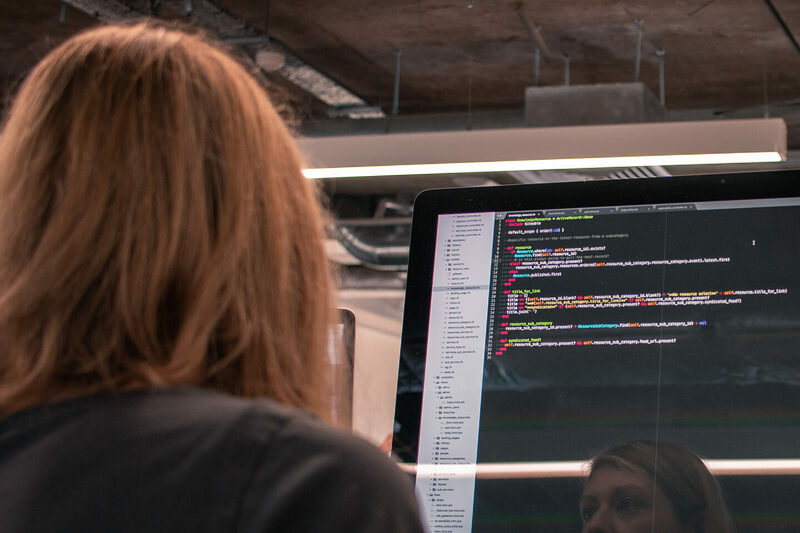 We still work to that ethos today, and with 15 years experience now under our belt, it’s no wonder that our front-end development team are known for their capability, care and quality. We’ve specialised in Ruby on Rails since its conception, so much so that it’s become second-nature at Kyan. 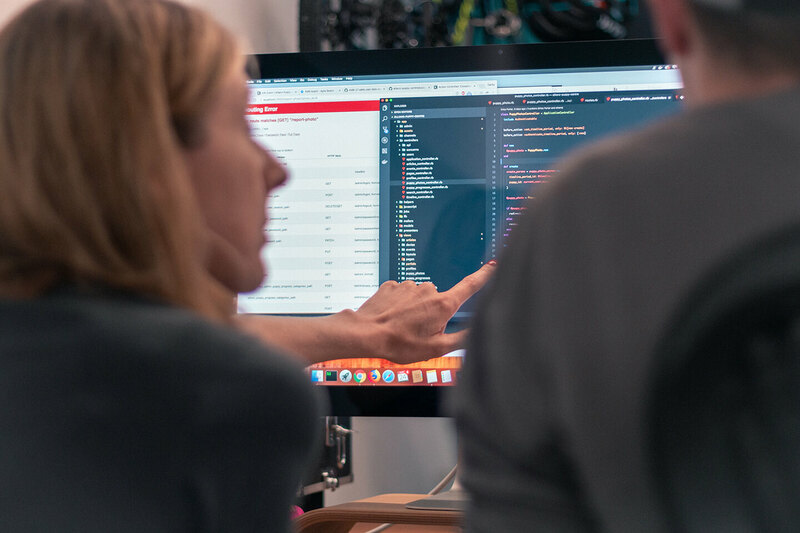 The Rails framework helps us build websites and apps in a way that is collaborative and flexible, following agile web development methodologies. We like to use it because it does the heavy lifting for us and allows us to focus on the granular detail of solving the real business issues that our clients face. Some of our front-end and back-end developers catching up in a scrum. React's concept of a state (the data behind an application) and the component-driven nature of the library make it an excellent choice for building interactive user interfaces. Components respond to changes in the application state, are composable, reusable and highly testable. React is fast (to build and in terms of performance), has an active community of developers, and the power of Facebook behind it. Ilia, one of our QA Engineers. We rigorously test absolutely everything that we build. Elixir is a super-fast functional programming language and for certain projects we opt for it in place of our regular RoR toolset. We are strong believers that you should use the right tool for job, and we'll always specify the technology used with that maxim in mind. 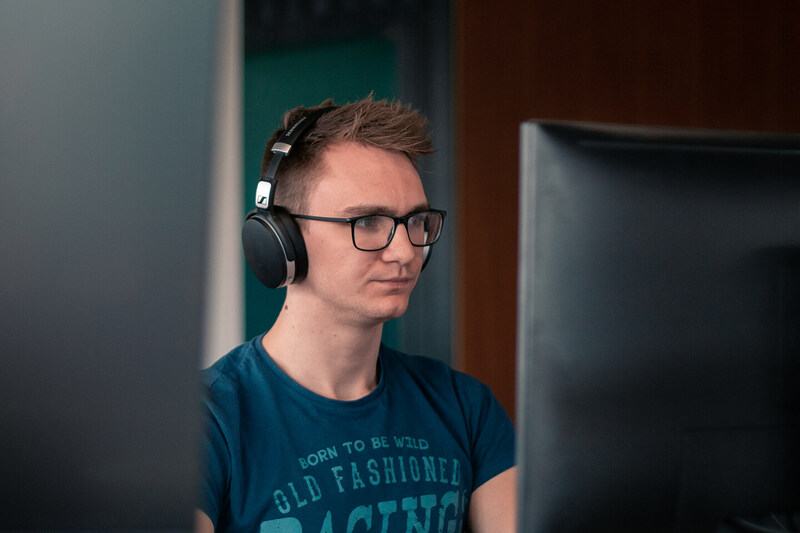 Having started out as a fledgling Surrey web design and development studio back in 2003, Kyan has deep roots in Guildford and the surrounding area. We’ve built many lasting relationships with local businesses large and small over the years. Our office sits pride of place at the bottom of Guildford High Street. It’s a popular hub for clients and friends to come by and meet the team, catch up on projects, or attend one of our events or workshops. If you have a project that you’d like to talk to us about, drop by for a chat.